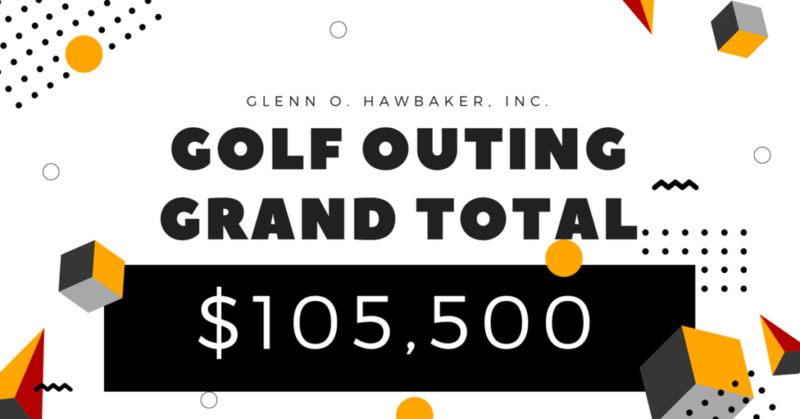 2018 Golf Outing Grand Total | Glenn O. Hawbaker Inc. Drum roll please…..The 27th Annual Glenn O. Hawbaker Golf Outing surpassed previous years and raised a total of $105,500 this year, making it our largest total yet! GOH would like to send a HUGE thank you to all of our donors, sponsors and volunteers for making the event such a success! This entry was posted in News & Articles, Press Releases. Bookmark the permalink.